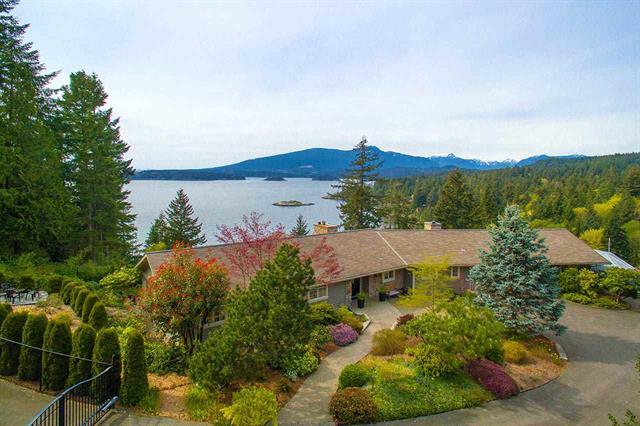 Perched above Tunstall Bay, this is one of the prime properties on the Island. Close enough to the ocean you can hear the waves lapping on the beach, but high enough where the panoramic views are more dramatic. Enter through a gate into the enticing and serene property, boasting a mature west coast garden. There you will find many different totally private and quiet areas in which to relax and absorb the various mountain, island and ocean views. The home features 3 or 4 bedrooms, family room, recreation room, a double garage, separate art studio, plenty of deck and patio space, lots of recreational areas and ample storage options. Immaculately maintained inside and out. Located next to the pathway and stairs down to the Tunstall Bay Club House and beach.